Join Mike and the Greenhorn Gang at the serene Greenhorn Ranch about 2.5 hours from Sacramento. The program includes equipment knowledge, entomology, trout behavior, casting theory and practice in the pond with dry flies, nymphs and streamers. The 1-3 day programs include progressive instruction on local rivers. Click here for more information! 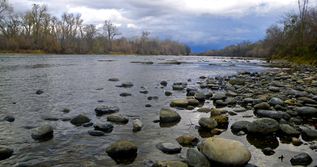 Come out for in the morning OR after work on the American River for a 2 hour clinic to brush up on your fishing skills. Maybe you want to spend a half or full day on the weekend. A personalized clinic to meet your goals will be set up especially for you!